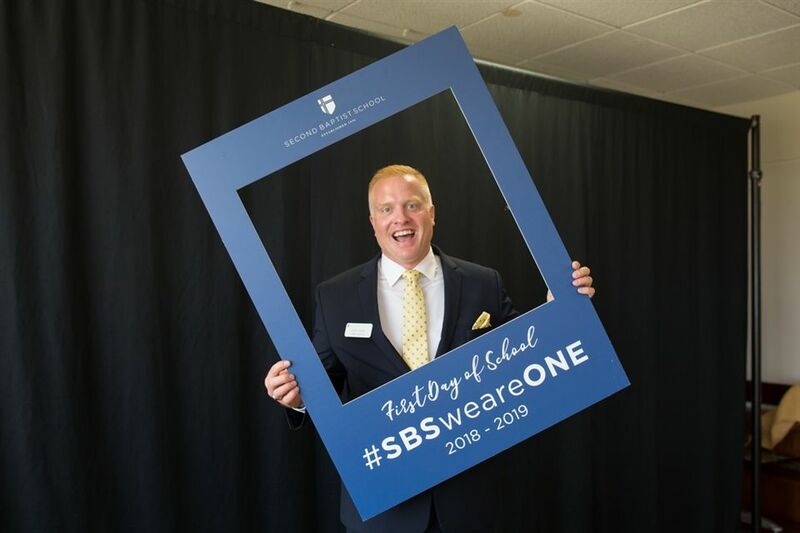 On Wednesday, August 15, SBS families excitedly returned to campus for the first day of school. Shortly after students were settled into their classrooms, the entire community came together in the Worship Center for this year’s Convocation. Once class flags were neatly placed in a semi-circle surrounding the stage and students were seated, Head Prefect Fielden Baker ‘19 addressed the community. He encouraged students to see their time at SBS differently and to not take it for granted, to see its worth and importance. As a school community, WE are ONE. From the first day of school to the last and each day in between, let us write the words of Romans 15:5-6 on our hearts. Click here to view photos from the first day of school!